Nice 4 Bedroom 2 bath home, living room with wood burning fireplace and laminate flooring. Kitchen offers quality appliances. Isolated master bedroom with private bath. Backyard features a large patio and privacy fencing. 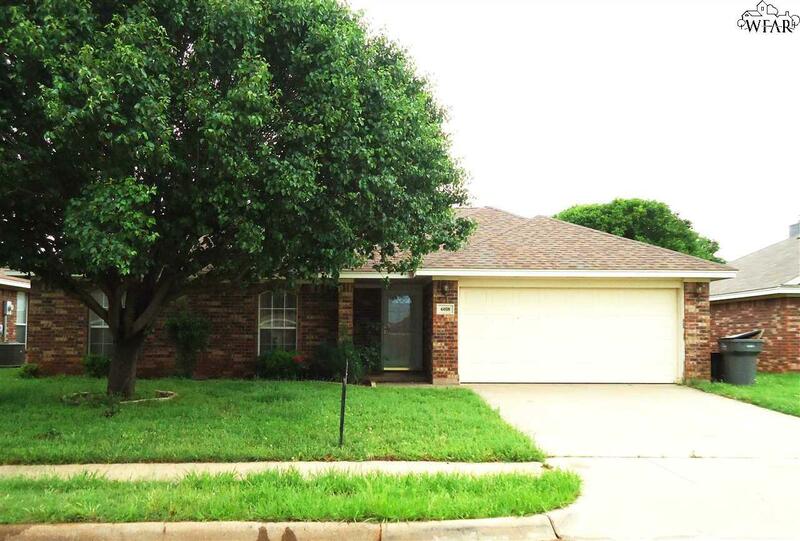 Convenient location in southwest Wichita Falls walk to McNiel Middle School and WFISD Sports Complex.